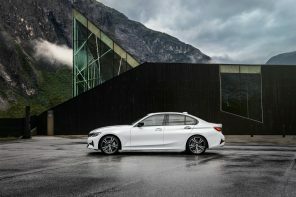 Official Release: The BMW Group’s sales were once again impacted by weak economic conditions on the international markets – as was the entire automobile industry. In the past month the company delivered 109,923 (prev.yr. 125,792 / -12.6%) BMW, MINI and Rolls-Royce brand automobiles worldwide. As such, the decrease in sales volumes was again slightly lower than in previous months. From January to the end of July, 725,377 (prev.yr. 890,662 / -18.6%) vehicles were delivered to customers. The MINI brand achieved a slight increase in sales of 0.3% for the first time since September 2008, with 19,281 (prev.yr. 19,224) deliveries worldwide in July. The new MINI Convertible (3,695 units / +48.5%), which has been available since late March, and the MINI One models (available as Hatch and Clubman, with sales of 3,670 vehicles / + 78.4%) in particular contributed to the gains. In Germany the brand reported its best July sales ever (3,207/ +16.1%), while in its domestic U.K. market (2,819 / +20.7%) and in traditionally high-volume Western European markets such as Italy (1,700 / +20.2%) and France (1,521 / +3.1%), MINI also made major gains in July. For the year to the end of July, 120,813 MINI cars were sold (prev.yr. 146,040 / -17.3%). Although BMW brand deliveries were down 14.9% (90,597 / prev.yr. 106,466) in the month under review, several model series were able to make strong gains in July. For instance, sales of the BMW 7 Series climbed 57.9% to reach a total of 4,631 (prev.yr. 2,933) units. In its domestic market of Germany the 7 Series remains the clear market leader in the luxury limousine segment with 660 new registrations (prev.yr. 322 / +105.0%). The new BMW Z4 (3,293 units / +123.4%) launched in May and the BMW X6 (3,714 units / +42.1%) received an excellent response worldwide in July. Over the coming months the launch of a number of new models will give sales a further boost. For instance, a four-wheel drive version of the BMW 7 Series will be released for the first time in the autumn. Autumn will also see the X1 and the 5 Series Gran Turismo enter the market, where each will create new segments. 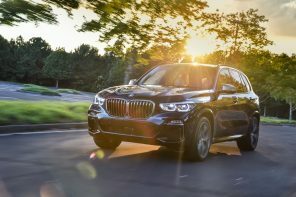 M versions of the BMW X5 and BMW X6 will also join the BMW model range in the summer. For the year to the end of July, a total of 604,190 (prev.yr. 744,025 / -18.8%) BMW automobiles were sold. The BMW Group’s sales again performed extremely well in the emerging markets of China, India and Brazil in July. In China the company delivered 38.9% more vehicles (7,623 / prev.yr. 5,489) in the month under review; India made gains of 30.5% to reach a total of 261 deliveries (prev.yr. 200); in Brazil customer deliveries climbed 168.6% in July to 607 vehicles (prev.yr. : 226). The BMW Group also reported gains in France (6,521 / +5.0%), Switzerland (1,954 / +4.1%), Austria (1,459 / +7.8%), Canada (2,840 / +7.6%), Australia (1,547 / +17.3%), the markets of the Middle East (1,190 / +1.4%) and South Korea (1,000 / +27.1%). The Rolls Royce brand reported a decline in sales of 55.9% (45 units / prev.yr. : 102) in July. For the year to the end of July 374 vehicles were delivered to customers around the world (prev. 597 / -37.4%). Difficult conditions on the global markets continued to impact motorcycle sales in July. 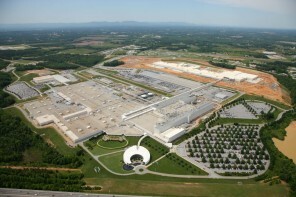 In the month under review the BMW Group sold 9,604 (prev.yr. 10,679) motorcycles: a decline of 10.1%. For the year to the end of July, 56,578 (prev.yr. 66,612 / -15.1%) units were delivered to customers. The BMW Group is also expanding its model range in the motorcycles segment. The new F 800 R has been available for delivery since May, and the road version of the S 1000 RR racing machine will come onto the market towards the end of the year. The future is quickly approaching, a time when accidents are a thing of the past. BMW Group cars and motorcycles that talk to each other demonstrate new ways to safer and more efficient mobility in the simTD research project.